Why put yourself through the torture of digging and digging and digging when you can get a makeup bag that collapses, like this one. 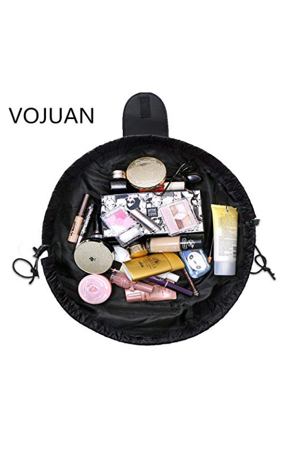 Just open the drawstring and lay the bag flat, so you can see all of your products at once. Just click the “Snag This” link and buy one for yourself today.